Not at home? Not a problem. As a Prime member, you can get packages securely delivered into your home without being there. 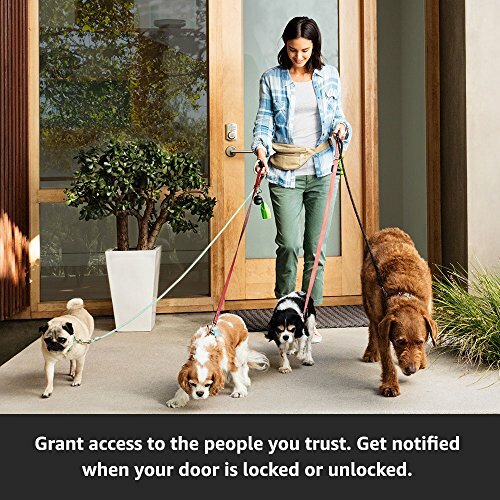 Plus, grant access to the people you trust, like your family, friends, dog walker, or house cleaner-no more leaving a key under the mat. Secure access. 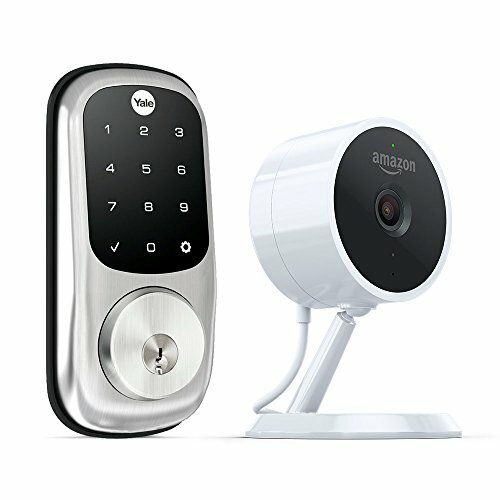 The In-Home Kit features the Amazon Cloud Cam (Key Edition) indoor security camera and an Amazon Key-compatible smart lock. Real-time notifications. We’ll send notifications the morning of delivery, just before, and right after. Watch your delivery happening live or view a video clip of it later. 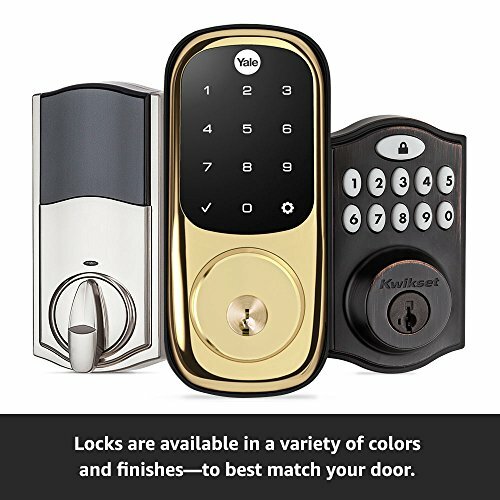 Amazon Key is exclusively for Prime members in select cities and surrounding areas. 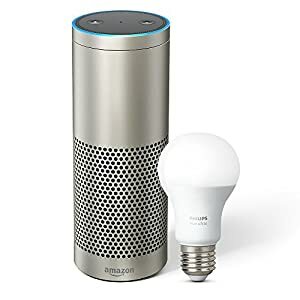 To get started, purchase the Amazon Key In-Home Kit, starting at $199.99. The kit includes: the Amazon Cloud Cam (Key Edition) indoor security camera and a compatible smart lock from Kwikset or Yale. 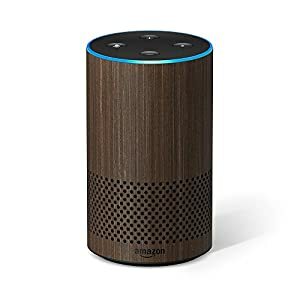 1: Receive notifications of your upcoming Amazon delivery. Amazon will verify your delivery driver. 2: Get confirmation that your package was safely delivered. 3: Watch the delivery live or view a video clip of it after. 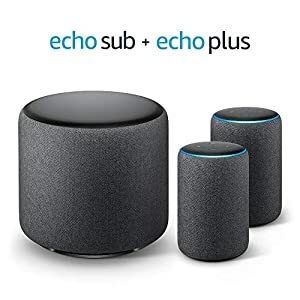 Shop on Amazon and select “FREE in-home delivery” at checkout. On delivery day, you’ll receive a notification in the morning and another just before the delivery. Amazon will verify the delivery and unlock your door so the package can be placed just inside. You can watch the delivery live in the Amazon Key App or see a video of it later. We’ll notify you once the delivery is complete and your door is relocked. 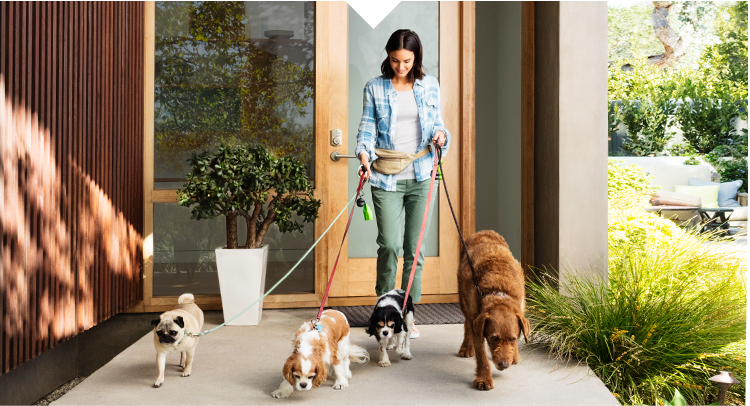 Create a guest list to let in recurring visitors like dog walkers and house cleaners. Schedule permanent access, so your guests or family members can enter at any time. Give out-of-town visitors temporary access, so they can settle in even when you aren’t there. 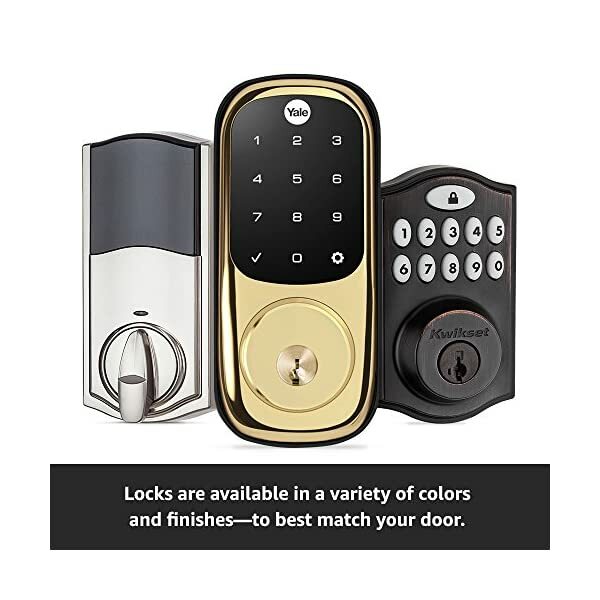 You’ll be notified any time your guest locks or unlocks your door. 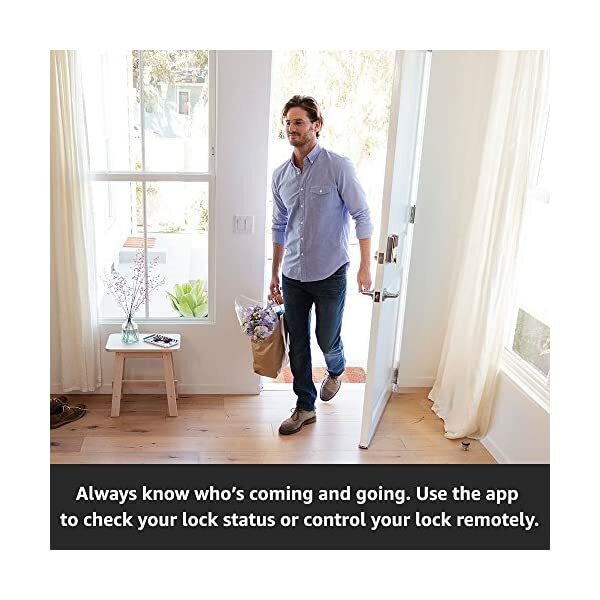 Amazon Key will provide customers with a convenient way to provide unattended access to professional service providers. 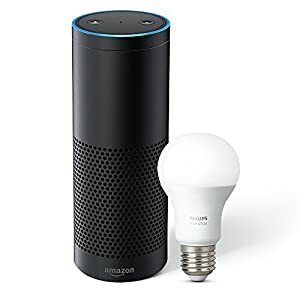 This includes services from home cleaning experts Merry Maids, pet sitters and dog walkers from Rover.com, as well as over 1,200 services from Amazon Home Services. 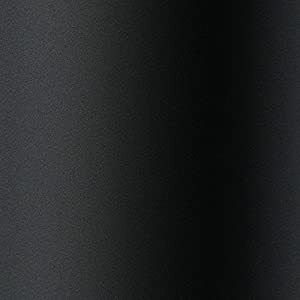 The Amazon Key Kit comes with an Amazon Cloud Cam (Key Edition) and an Amazon Key-compatible smart lock. Get the kit installed for free by a professional. Select at checkout. 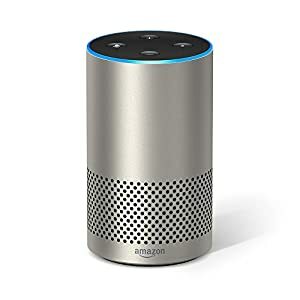 Can I receive in-home delivery if I live in an apartment complex or have a front gate? Yes, as long as the delivery driver can access and enter your front door. 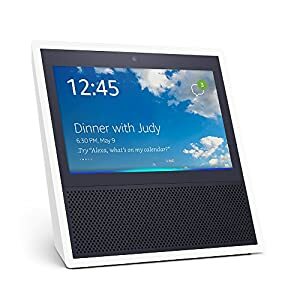 For example, you can provide your building or gate code in the Amazon Key App, which can be securely shared with drivers and guests. Can I receive in-home delivery if I have a pet? We do not recommend using in-home delivery if your pet can access the front door on delivery day. 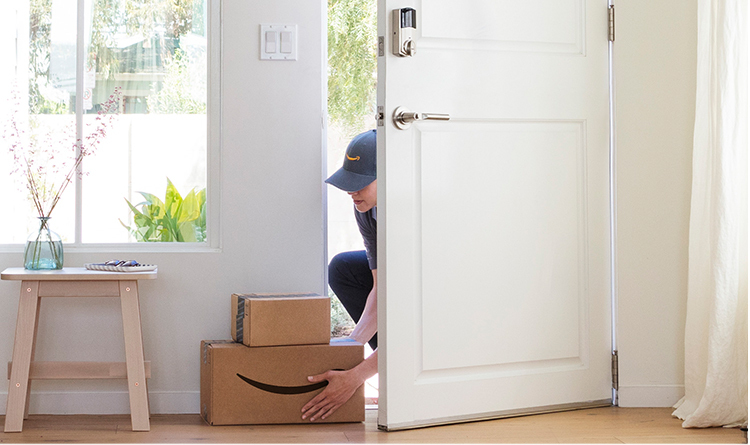 All in-home deliveries are backed by Amazon Key Happiness Guarantee. If an in-home delivery was not completed to your satisfaction, we’ll work with you to correct the problem. Are there special drivers for in-home delivery? 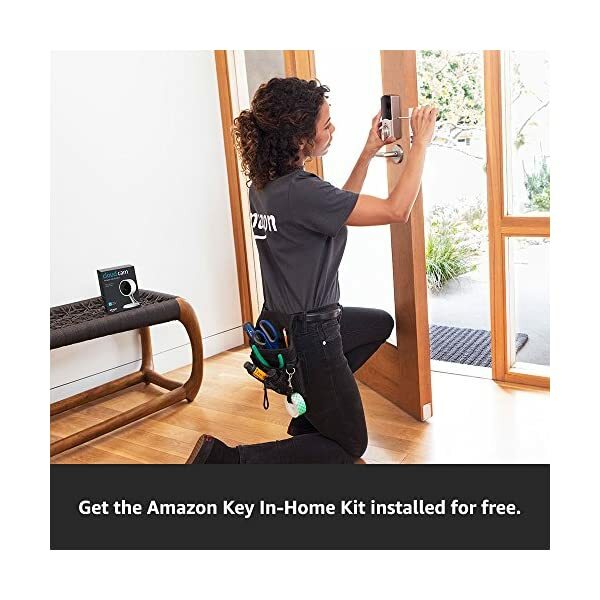 Amazon Key In-home deliveries are carried out by some of the same professional drivers who you trust to deliver your Amazon orders today. 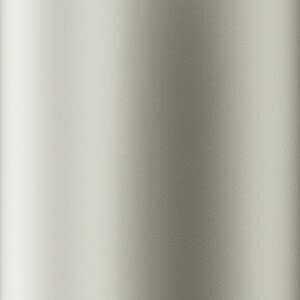 These individuals are thoroughly vetted, with comprehensive background checks and motor vehicle records reviews. On delivery day, you’ll receive a notification in the morning with a 4-hour delivery window for when the delivery driver will arrive at your home. 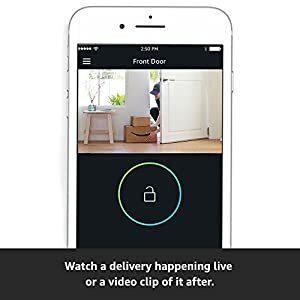 Right before the driver arrives at your door, you will receive an “Arriving Now” notification and you can optionally watch the delivery happening live. The driver will knock first and then request to unlock your door with their Amazon handheld scanner. 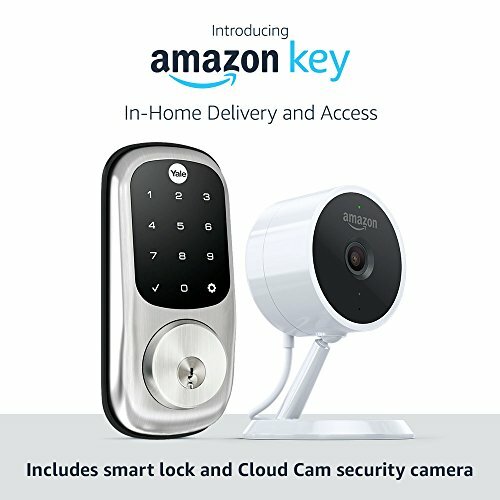 Amazon verifies that the package belongs to the address and the driver is near the door, turns on Amazon Cloud Cam and unlocks your door. No special codes or keys are given to the driver. The driver will then place the package just inside your door and request to relock the door. 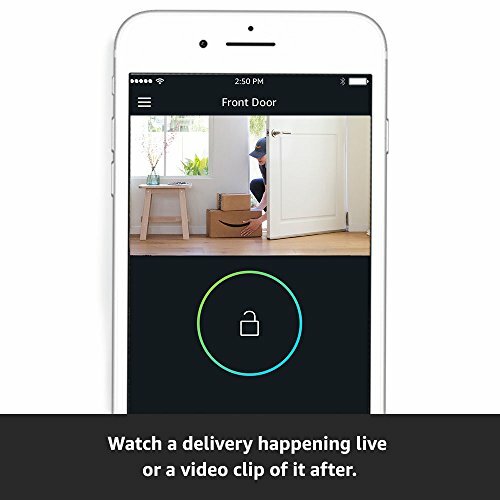 Once the delivery is complete and your door is relocked, you’ll get a final notification and can watch a video clip of the delivery. 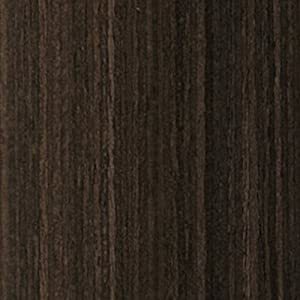 Is Amazon Key compatible with my front door? Amazon Key-compatible smart locks are compatible with standard deadbolts mounted separately from the handle and standard doors between 1-3/8 and 2 inches in thickness. 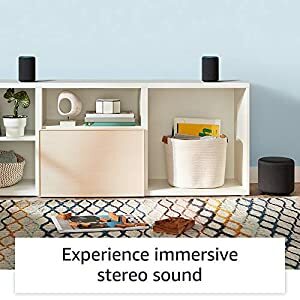 How do I select in-home delivery at checkout? 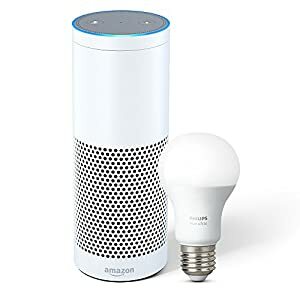 After you register your Amazon Key In-Home Kit and address in the Amazon Key App, you will see the “FREE in-home delivery” shipping option at check-out for eligible Prime items. What happens if someone is home on delivery day? On delivery day, the driver will knock before requesting access. You can also select “Block Access” in the Amazon Key App at any time up until the package is delivered. The delivery driver will then follow your standard Amazon delivery process. 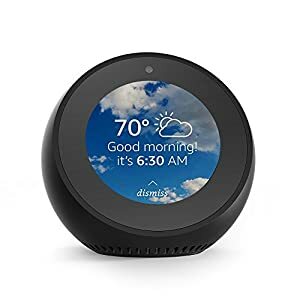 What if I already own a Cloud Cam or smart lock? 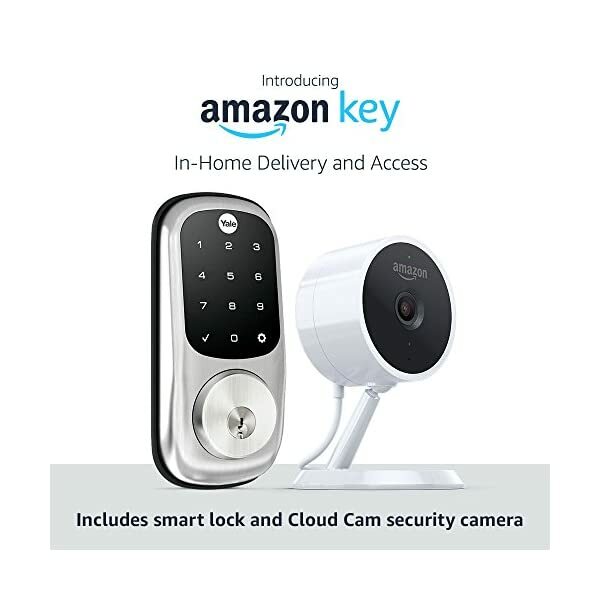 In order to activate Amazon Key In-Home, you need an Amazon Cloud Cam (Key Edition) and an Amazon Key-compatible smart lock. What if I have a home security system? Where do I need to install Cloud Cam? 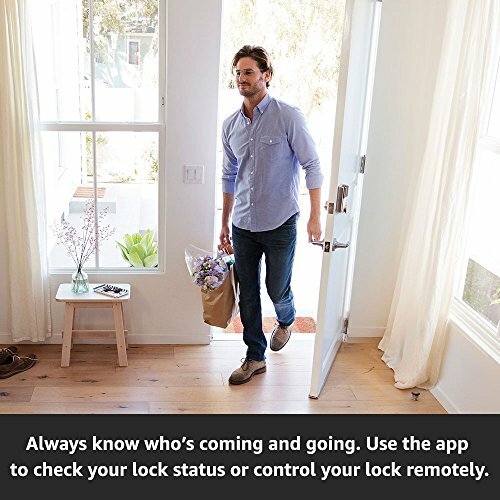 To fully record your in-home delivery, Cloud Cam needs to be installed inside your home within 25 feet of your smart lock and facing your front door.  Speak with a customer service representative today to get answers to any remaining questions. Stop making spare keys. Give family and friends temporary, recurring, or permanent access. 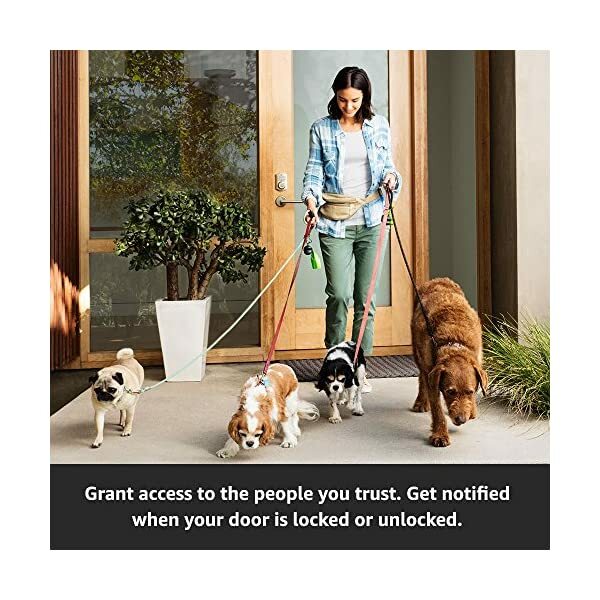 Or provide one-time access for your electrician or dog walker. You’re in control-just schedule the date and time window. Check in on your front door 24/7. The Amazon Key In-Home Kit includes an Amazon Cloud Cam (Key Edition) indoor security camera with 1080p Full HD, night vision, and more-plus an Amazon Key-compatible smart lock for secure access control. Free installation. Get the Amazon Key In-Home Kit installed for free by a professional. Just schedule your installation appointment during checkout. Exclusively for Prime members in select cities and surrounding areas. 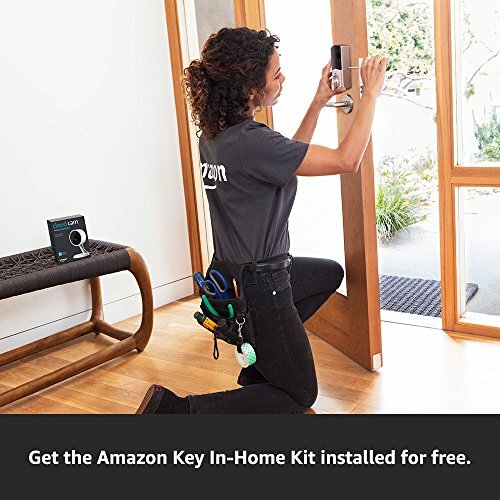 Enter your zip code to see if Amazon Key is available in your area. Check back as we expand to more cities.